Mary came to Rockford in 1996, relocating from Rock Falls, IL to further pursue a career in hospice leadership & administration. In 2003, she graduated with a Bachelor’s Degree in Community Leadership and Development from Alverno College in Milwaukee, where she attend classes nights and weekends for 5 years while working full-time. 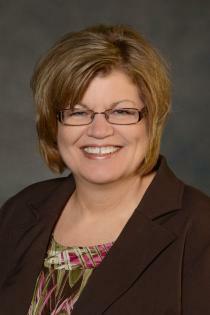 Mary rounded out a 25 year career in the hospice field, before transitioning to a full-time career in real estate 2013. She has been married to Beloit native Kent Maxted since December 2011. Between them they have four adult children, three daughters and one son, and two fabulous grandsons Keaton and Karson. A career in real estate has been a dream of Mary's for many years, and she enjoys helping both buyers and sellers navigate the complexities of the process of buying and/or selling homes. Skills in customer service, communication, education, outreach, marketing, and management of processes and finances combined with values of honesty, dedication, hard work and helping others achieve their goals result in Mary being a real estate agent clients say you can trust and depend on for all of your real estate needs. Mary enjoys her work immensely and greets every opportunity with enthusiasm and gratitude.